Twenty year-old poultry farmer Kerishia Eve Roberts of Portsmouth last week won the Dominica National Lottery Super Six jackpot of EC$610,000. She said she intends to invest her winnings in her poultry farm. Marvin Boyd and Alvin Esprit of Tarish Pit, and Winston Barber of Mahaut residing in Tarish Pit were charged this week for stealing a vault containing $80,791.45 in cash, the police have reported. The burglary occurred between Sunday 11th and Monday 12th November 2018 at the Best Price Hardware and Supermarket at River Bank, Roseau. 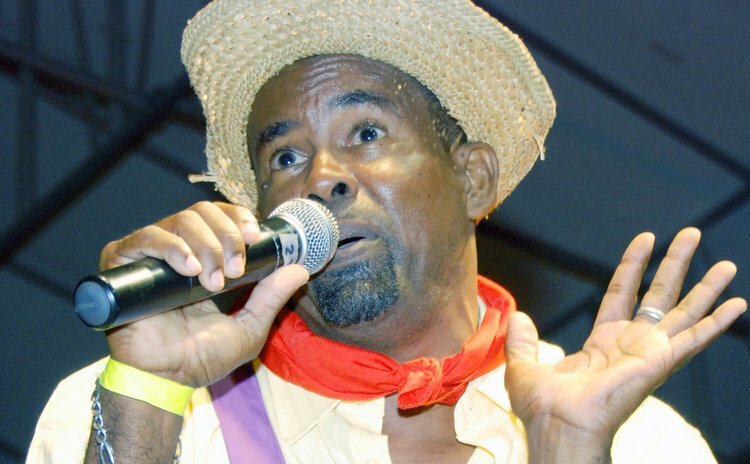 Davidson "Observer" Victor is the new President of the Dominica Calypso Association (DCA) and he argued on State-owned DBS Radio that the business of the DCA is a team effort. There are two new additions to the association's executive who, Victor says, will bring quite a bit of experience to the DCA. "There is no 'me' in Calypso and there is no 'I' in Calypso," he said. "It is a team effort and we have a very good executive." The other members of the team are Murphy "Sye" Jno. Jules (Vice President); Daryl "De Bobb" Bobb (Secretary); Narraine "Trendsetter" Murphy (Treasurer); Kelvin "Ras Kelly" Williams (Assistant Treasurer); Deryck "De Hunter" St. Rose (PRO). Committee members are Gregory "Karessah" Riviere, Shirley "Lady S" Charles and Arthur "Bassie" Pascal. The team begins its first innings almost immediately. The Calypso Eliminations is set for January 5th, 2019; the Quarter Final for February 2nd; Semi-Finals, February 16th and the grand Calypso Finals, March 2nd. Roosevelt Skerrit, the Prime Minister and Minister responsible for Finance, has responded to the call by Lennox Linton, the Leader of the Opposition for an increase in the pension bystating that Linton's proposal displays his ignorance of the country works. "Once again the Leader of the Opposition in his hastiness to oppose for opposing sake has proven to the people of Dominica, that he does not understand how to manage the finances of our country," Skerrit said. Linton recently called for an increase to a minimum of EC$500 per month in response to Prime Minister Skerrit's Independence gift to seniors. Skerrit said he had instructed the Financial Secretary "to prepare the necessary paperwork, for there to be appropriate authorization, for the granting of a one-off gratuity payment to the lowest paid categories of pensioners in Dominica. "Those who currently receive $300 a month as a non-contributory pension, shall in the month of December, receive a total of $500. "Those who receive between $300 and $500 each month, having contributed to the pension scheme over the years, shall next month receive an extra $300, as a "top up", and as a gesture of this country saying "thank you...for services rendered". Skerrit said if Linton's suggestions were to be implemented, it would hinder the current development of the country, as well as impact the pension of future pensioners. But Linton said last week that while rejecting his pension increase proposal, the Government was spending hundreds of thousands to hire lawyers from Trinidad to prosecute members of the opposition. Rogian Jno. Baptiste of Salisbury has been charged with the murder of Tyron Benjamin, also of Salisbury, which occurred on Wednesday 14th November, 2018 in Salisbury. Jno Baptiste appeared before the Magistrate Court on Friday, 23rd November 2018.